Do you have your market divided up into territories assigned to specific agents? Here's how to handle that. Each lead type has it's own lead set of sources and we want to make sure that we're sending we're sending the right leads to the right lead source. 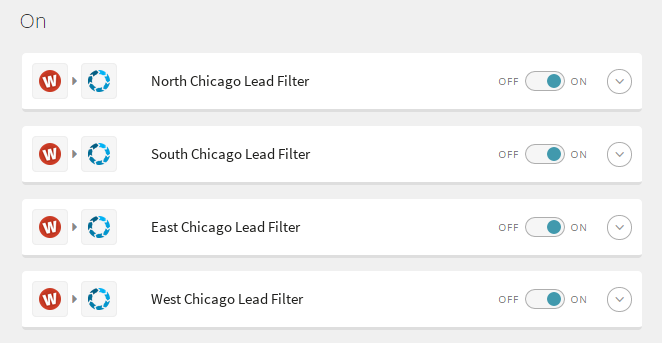 For example we only want to send leads from Chicago to lead sources within the Chicago lead type. There are several ways to accomplish this. Some lead providers will allow you to segment your advertising with them so that leads from different geographies can be sent to different people at your company. If this is possible then provide them with multiple email addresses to forward leads to, one for each territory geography. 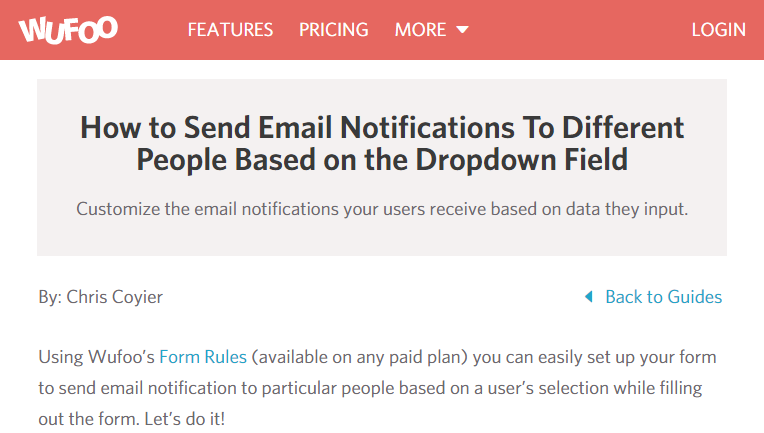 By using rules or conditions you can send email notificatoins to different emails based on the dropdown field that was selected when the form was submitted. Build this logic into your existing forms. Use a third party form builder (See below). 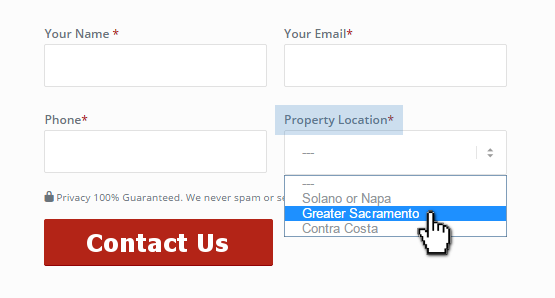 There are a number of third party form building services that will allow you to 1) create a form with a drop down, and 2) forward form submissions to different emails depending on which drop down was selected. See list of vendors below. Zapier is service that connects the LeadSimple API with a number of other services, such as form builders, email marketing platforms, and other CRM's. If you're leads are being captured by another service that integrates with Zapier prior to entering LeadSimple, then it's possible to import those leads directly and apply a geographic filter in the process. Start by creating a zap to import leads. Next, create a filter based on geography. Finally, specify the lead type you want leads meeting this filter criteria going to. You will create separate zaps for each territory. Got more questions? Call (888) 626-3259, email, or start a chat session right now.